/ Modified oct 29, 2018 2:26 p.m. 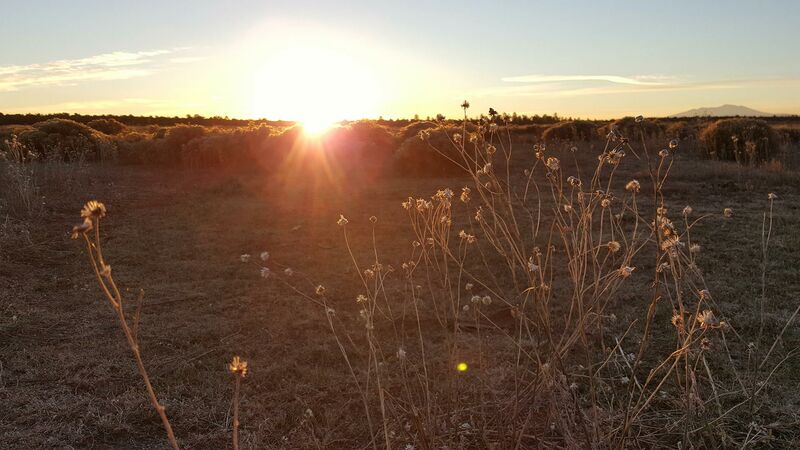 The sun rises over a field in Northern Arizona. The University of Arizona has joined the second cohort of the University Climate Change Coalition, or UC3. Trevor Ledbetter, director for the Office of Sustainability, says UC3 is a community-focused initiative aiming to make local change for future generations. "When we talk about sustainability, we're talking about creating processes and using resources in a way that doesn't compromise the ability of future generations to do the same," he says. While universities across the world are working to find solutions to the problems that climate change presents, Ledbetter says the coalition is designed to accelerate progress. "What UC3 is meant to do is to catalyze change and to make things move a little bit more quickly when it comes to climate action and what we need to do with water shortages [and] what we need to do with moving more quickly towards a zero-carbon economy," he said. He says the UA brings a few things to the table for the coalition. It has expertise in desert-based sciences like hydrology and tree rings, or dendrochronology, and it's at the forefront of climate adaptation research. "A lot of UA strengths really lie in adaptation knowledge — really gathering what and how and why we need to do things with regard to the environment." As part of the criteria for UC3, the university is pushing for a carbon neutrality date of 2050.